Waypoint Seeker is a client-side waypoint system. It provides you quick access menus to toggle waypoints on and off with ease. You just need to put down a waypoint and see it onscreen. 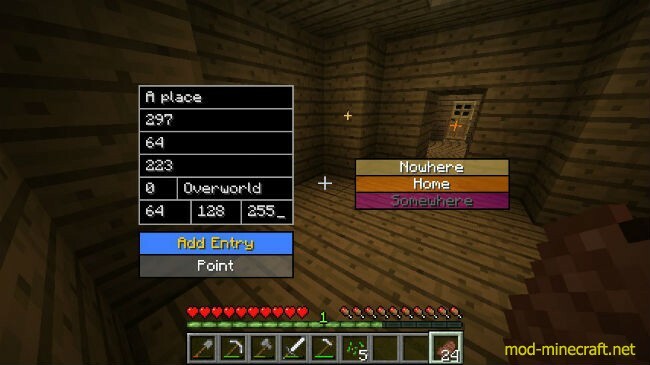 This mod also contains a handy little waypoint to help you find your way back home. Enter in co-ordinates of someone else’s house and have a simple marker to where it is.